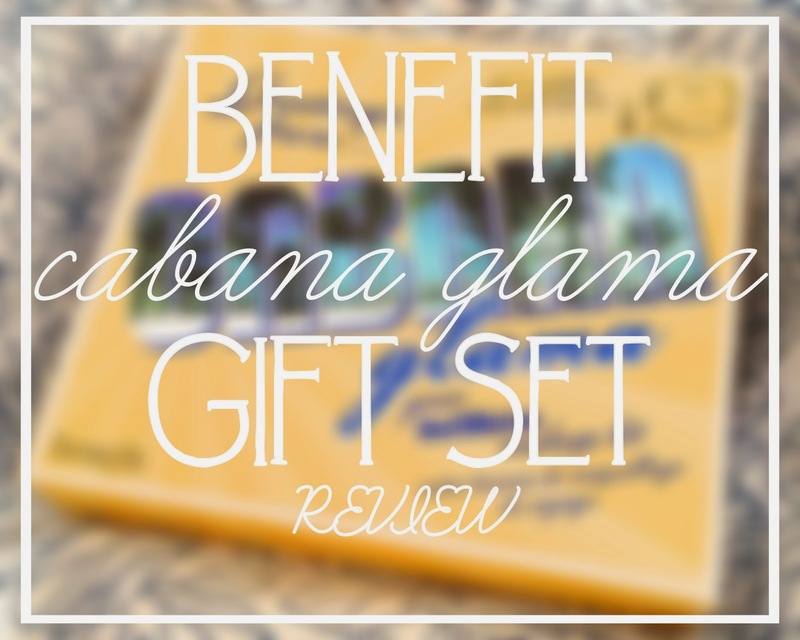 For Christmas, my good friend Jennie got me this gorgeous Benefit Gift set titled 'Cabana Glama', and i'm going to review it for you today! 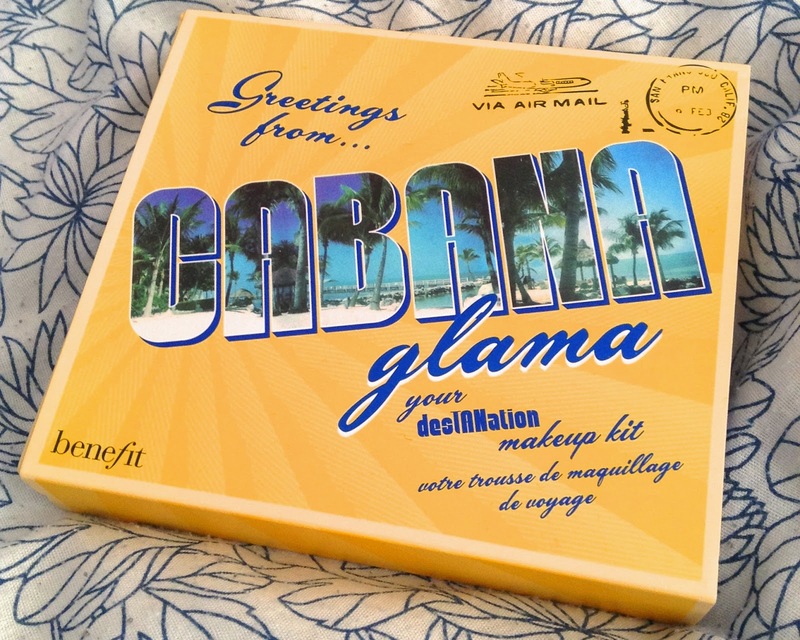 On the front is says 'your desTANation makeup kit' and then it says 'votre trousse de maquillage de voyage' which I believe means something along the lines of 'your travel makeup kit' in French. It's a kit that has been specifically designed for holiday, to give you that perfect bronzed, healthy glow, and I think it is very successful at doing just that. Firstly, the packaging. I am obsessed. I love it! I think it's adorable, and it just screams 'summer' to me. It's also very sturdy, so it is perfect for taking away on holiday with you, without having to fear that it will explode in your luggage! And it has a huge mirror, which is a major plus! The kit contains 3 eyeshadows, a foundation, bronzer and a lip/cheek tint, along with a duo ended eyeshadow brush, and a bronzer brush. 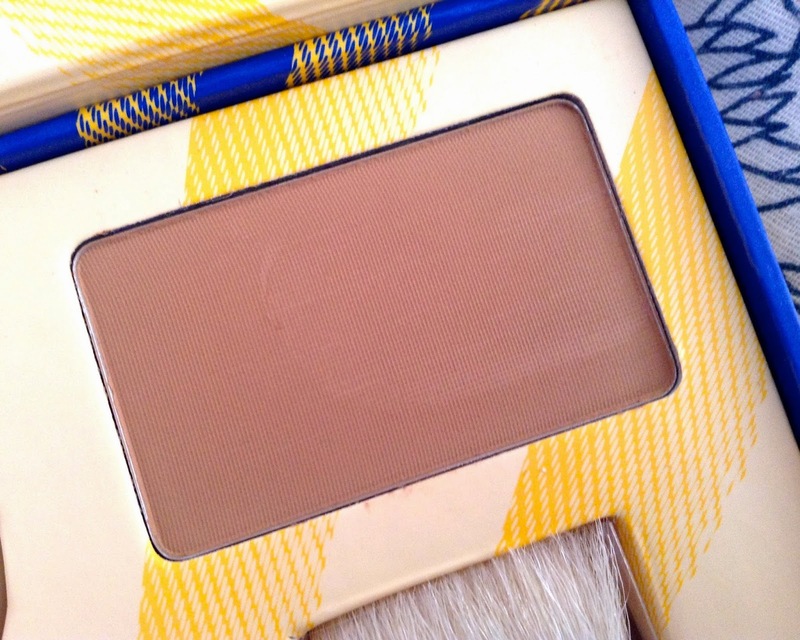 I'll start with my least favourite item, which is the "Some Kind-a Gorgeous Foundation Faker". I did not really like this, not because it didn't do a good job, I wouldn't really know, as it was too dark for my skin tone, and looked quite orange on me. 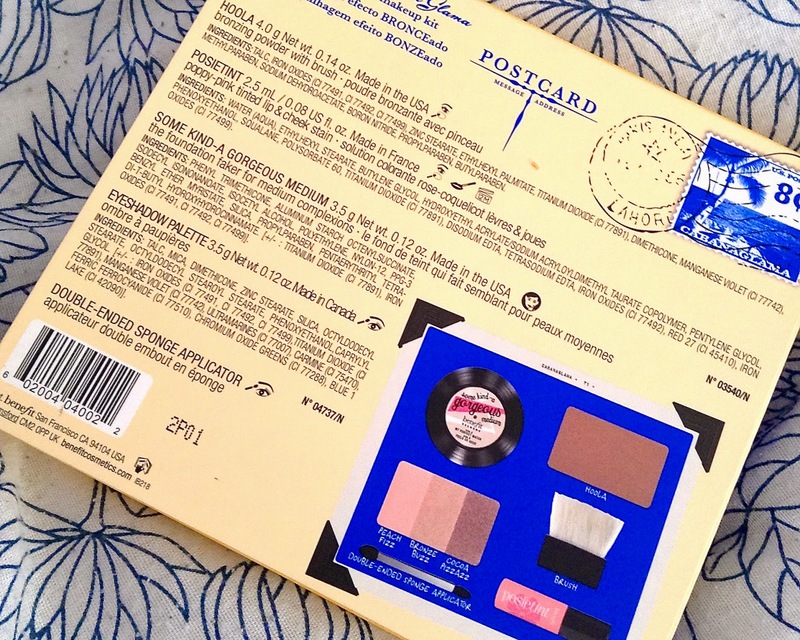 However, 'medium' is the only shade that Benefit put in this kit, so if you're pale, like myself, this one will need to be saved for when you've tanned! I will definitely re-try this in the summer, when I will (hopefully) have a bit of a tan. What I can say is that it changes from a cream to a powder really fast, and it felt so light on my skin, as if I had nothing on, which is great. I think this would be perfect if you have good skin, and you just want to glow and look airbrushed, as that's exactly what it does. It doesn't however have great coverage. Next is the "Posietint Lip and Cheek Stain". Putting this on my lips did nothing, just made them glossy, nothing special, but I loved it on my cheek. It adds just the right amount of colour to make my cheeks look glow, and it just make me look generally healthier! One thing I will say though is that it dries super fast, and if you aren't quick enough, you'll end up with a pink streak on your cheek that is impossible to rub in! 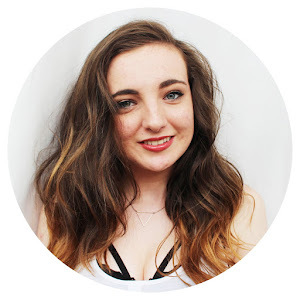 Next up is a beauty bloggers favourite.. 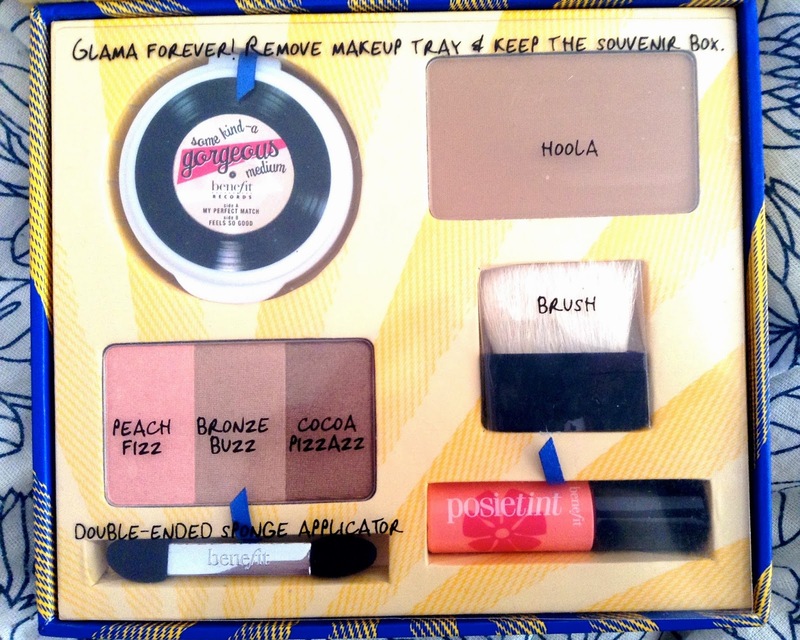 It is of course the "Hoola Bronzer". Until I got it in this set, I had never tried it, as at £23.50 for a full size, it seems a little bit too much to spend on a bronzer. However, I do get the hype around it. This product is great, if applied right. A little goes a long way. 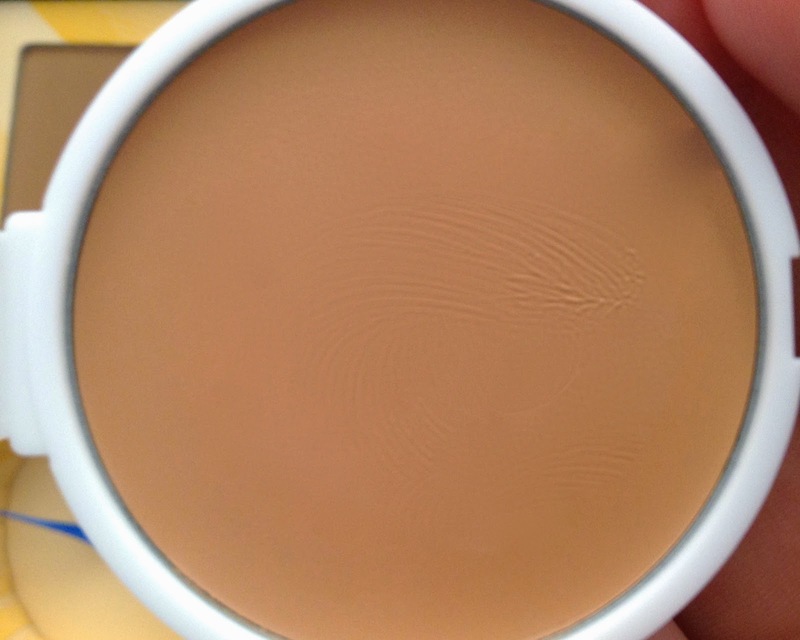 Seriously, it's really easy to over-bronze, thus resulting in orange streaks, not a good look! The brush that is included is actually reasonably good as well! But I really like this product, and once i'm finished this sample, I may have to treat myself. Thank God for student loans! Lastly is my favourite of the bunch, it's this little eyeshadow trio in the shades "Peach Fizz", "Bronze Buzz" and "Cocoa Pizzazz". I couldn't find any of these shades online, which makes me really sad as I love them! (however, I really don't like the brush that was included, so I definitely will not be using that!) Together they create the perfect shimmery daytime look, which is also suitable for an evening look, as they're so shimmery. 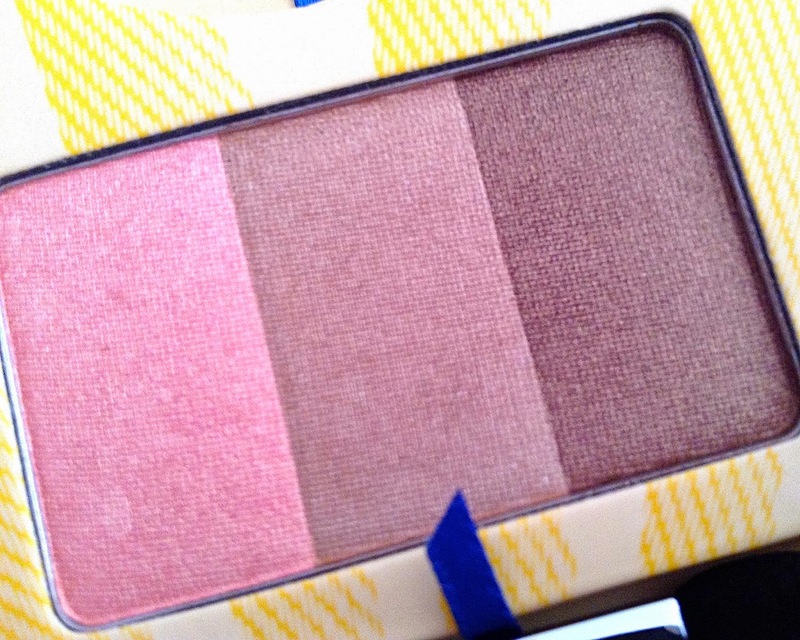 As with the bronzer, a little goes a long way, they are so pigmented! A definite must have. 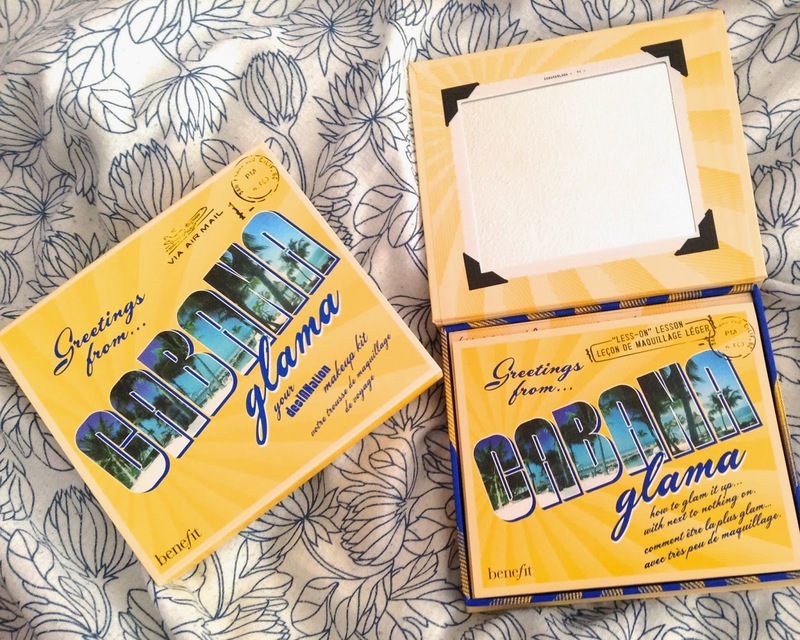 You can buy the Cabana Glama set here, but it's really difficult to find, I think they've stopped manufacturing it, so i'd recommend snapping it up quickly! I really love this set, and I think i'll be repurchasing some of the items when I run out. I love the little gift sets Benefit do at Christmas - it's a fab way to try new products! I got the goodies a go-go this year and love it! Their eyeshadows are entirely underrated! I agree, the eyeshadows are totally underrated! 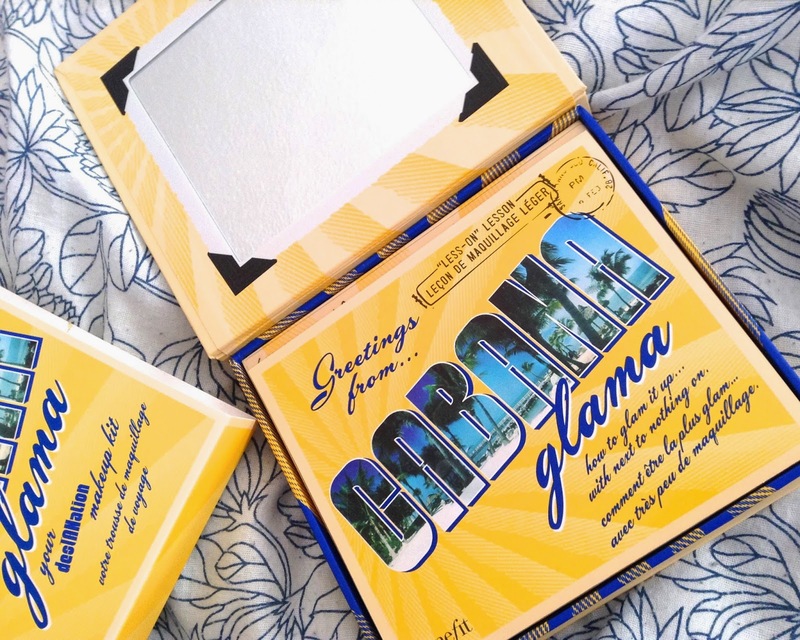 The gift sets are perfect presents for any beauty lover! 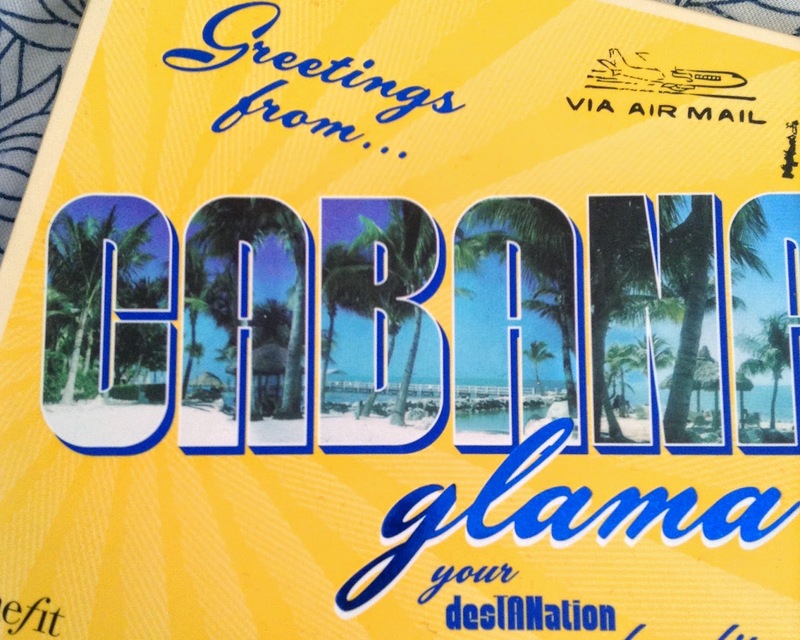 Love this post with the pictures! I know, it's great isn't it? Benefit are always so creative! And thank you so much, i'm glad you like them!